"I have been coming here for physical therapy the past 6 months because of injuries i sustained in a car accident. 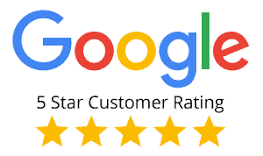 I never give reviews but I wanted to take this opportunity to thank the staff at Emery for being so caring and professional. I never have to wait when I go in for my appointments and I always feel so much better when I leave. I highly recommend Emery to anyone that may need physical therapy. Thank you Emery." My name is Russ Rudsinski and I just completed my Physical Therapy at Emery Physical Therapy in Mount Prospect for a combination of a neck and shoulder ailment. While there Jen and the staff (Nikki, Orville and Phil) were true professionals in that they kept me always well informed. They were patient, friendly and the therapy was individualized (one on one) gearing my therapy towards what was best for me! It was awesome! And in my particular case after approximately 8 weeks of loyal and immense therapy, I could not have been happier with the results! Thank you Emery and the wonderful team! 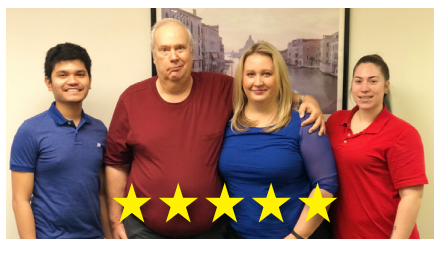 "I have been going to Emery Physical Therapy for severe neck and back pain and all I can say is Phil, the physical therapist, is the best!! He is very knowledgeable and skilled at his work. He takes the time to explain the problem and will treat you one on one. He is very hands on but also taught me exercises and stretches to do on my own at home. I also went to see him in the past for sciatic nerve pain. I had a trip planned that week and thought there’d be no way I’d be able to sit on that plane, but Phil had me pain free through stretching, message and exercises in no time at all !! His staff is also amazing. Nikki and Marilyn are friendly and well organized, and will work with your schedule when making appointments. You can tell they are a team who truly cares about their patients. I highly recommend Emery Physical Therapy and wouldn’t go anywhere else!" "I've been in physical therapy with Phil 4 times over several years with back, neck and shoulder issues. The home programs set me up for a speedier recovery and continuation of those have allowed me to build up the strength and stretching properly so I would not have to see him. I was in a pain clinic and now have no need for shots or drugs on a regular basis due to his expert care and attention to detail as well as listening to my stories. 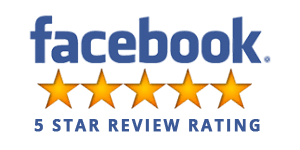 "The staff was great, the therapist was very professional but also personal. He explained everything in detail and spent time to get to know my problems. I appreciate that everyone there went out of their way to make my recovery as comfortable as possible considering my situation. I had to put in a lot of hard work myself but I couldn't have done it without them. " 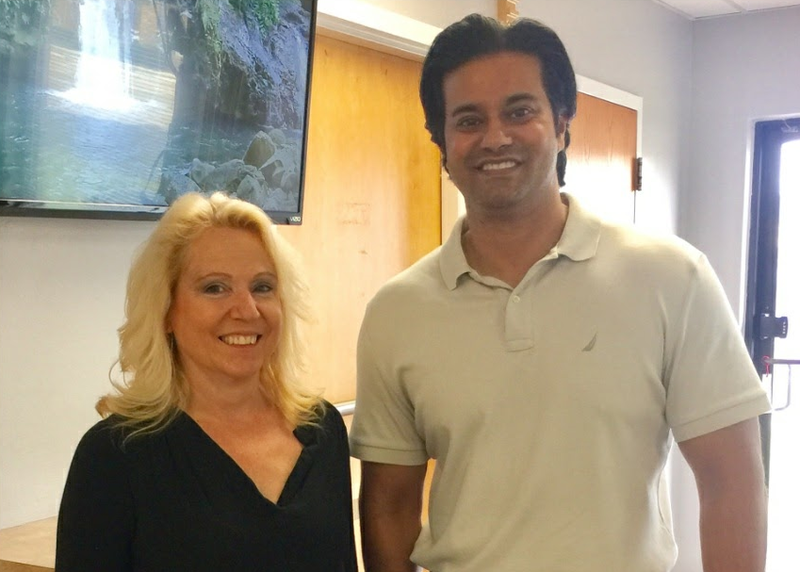 "I started going to Emery Physical Therapy for my Adhesive Capsulitis also known as a Frozen Shoulder. The staff has always been friendly, prompt and attentive. Phil the Physical Therapist is amazing to work with. You get a lot of one on one attention and a lot of positive motivation." "I had some bad back pain. I had tried a few places first, but this was by far the best place. Really good personal attention." 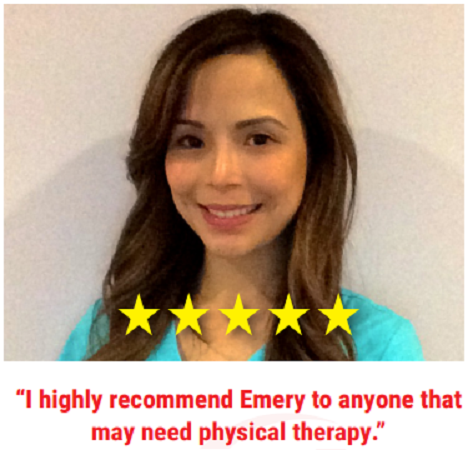 "I have been to three different PT clinics, and Emery is the very best. I highly recommend this clinic!" "I had excruciating back pain. I was barely able to walk and it was a few days before my wedding. The physical therapist was super responsive and performed multiple stretches applied with additional exercises and I was able to walk and not use a wheel chair. I am very pleased with the therapy I received and would recommend this to anyone looking for quality therapy." If you've recently had a physical therapy session with us, please take some time to fill out your review below. Your opinion is important to us!